Thanksgiving is now over and my focus can 100% be Christmas! It's the most wonderful time of year and seriously brings out the two year old in me. We got our tree on Sunday and it's already up and almost finished. I say almost because I've still got a few more DIY projects to get done before I can say its complete. With much of my free time spent on Pinterest this year, the inspiration is endless. So many amazing Christmas ideas, the list of projects I want to get done is overwhelming at times. But in a good way, I mean I do LOVEEEE Christmas. Can you tell I'm going for lots of color this year? No plain old red and green for me, bring on the color! Beautiful inspiration photos! 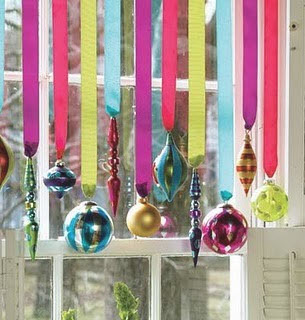 I love a more multi-colored approach to Christmas decorations this year. I'm excited to see what projects you have in store for us! 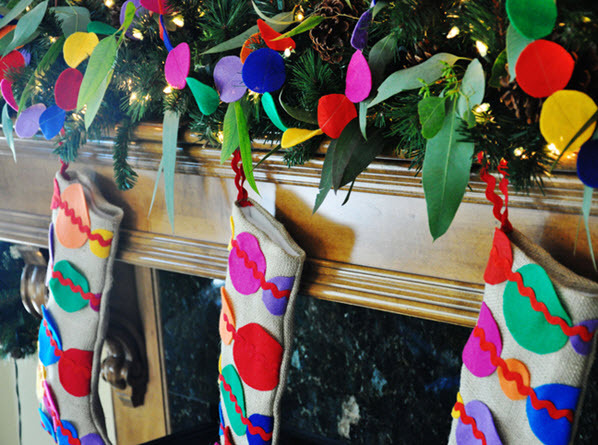 A few years ago I bought the most colorful stockings and I love them. I think the holidays should be bright, sparkly and colorful or all white!!! loving the bright colors! i'd love to know where you found that 3rd picture (of the wreath)? Sara Emily, I just realized I dont have that one on my Pinterest (going to add it right now). 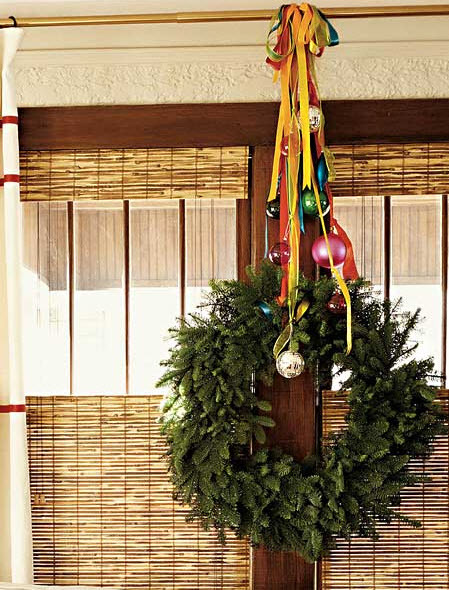 But it's from Southern Living- they have so many great Christmas ideas! thank you so much! love southern living (especially as an alabamian!) and truly love all your bright ideas for Christmas! These photos are definitely putting me in the holiday spirit. Of course I would love to see all of your crafting for the holidays. 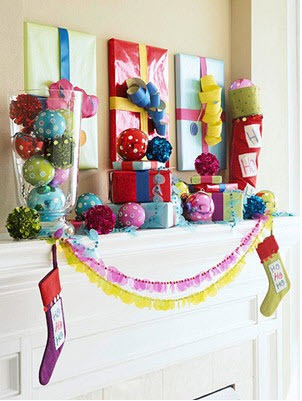 Love that felt circle garland and love Pinterest almost just for the mere fact of finding stuff for the holidays. In fact I just made the best sugar cookies ever from a recipe I searched in Pinterest. mmmm sugar cookies sound delish right now. Sugar cookies for breakfast, why not? I really really like how colorful everything looks! 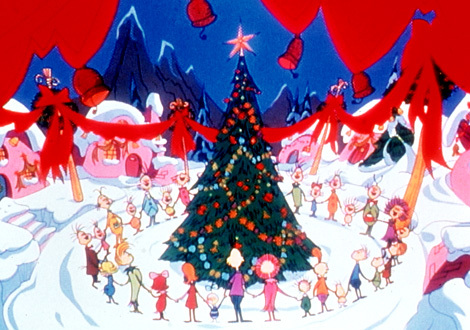 that's a really fun take on christmas, i love all the color!